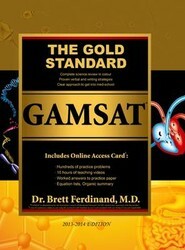 Showing 10 of 15 results for "GAMSAT"
For the first time ever, a total of more than 1000 practice questions available in the book and online using the Online Access Card which is found in each GAMSAT textbook. Newest edition: 4 Video DVDs cover all the important Organic Chemistry topics. Clear lecture-style teaching ! Reaction Mechanisms to Nuclear Magnetic Resonance ! All videos can be played on a regular DVD player. 4 DVDs are contained within a hard black plastic rectangular case which is wrapped in clear plastic. Newest edition: 4 Video DVDs cover all the important Chemistry topics. Clear lecture-style teaching ! Ionization Potential to Electrochemistry, all equations reviewed! All videos can be played on a regular DVD player. 4 DVDs are contained within a hard black plastic rectangular case which is wrapped in clear plastic. No science background in university? Great in the sciences but little experience reading from the humanities or writing essays? 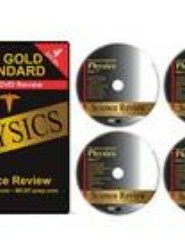 Had a bad experience with a high school physics teacher? Full time arts student? Full time mom? Part time job? It's OK. The Gold Standard has you covered. 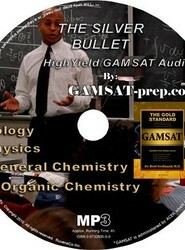 The Silver Bullet High Yield MCAT & GAMSAT Audio MP3 on CD is designed to increase study efficiency. This 4 hour MP3 was not prepared to be used as a source to take notes from, since everything is already contained in The Gold Standard. It is a source of review for major points and is best used for repetition. 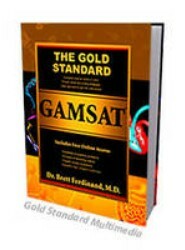 If you are looking for a detailed guide with practice problems then you should consider The Gold Standard GAMSAT Textbook, the MP3s and the 20 hours of Section III Science Review DVDs. 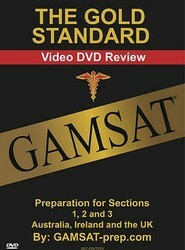 This "Gold Standard GAMSAT Preparation" DVD is 72 minutes long and presents general advice and guidelines for Sections 1, 2 and 3 of the GAMSAT. 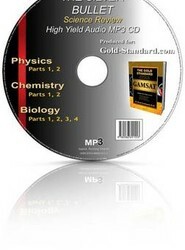 The Silver Bullet High Yield MCAT Audio MP3 on CD is designed to increase study efficiency. This 4 hour MP3 was not prepared to be used as a source to take notes from, since everything is already contained in The Gold Standard. It is a source of review for major points and is best used for repetition.